NOTE: This is archived committee information from the 76th Legislative Session. The 50 States Quarters Program is a 10-year initiative commemorating each of the 50 United States. House Resolution (HR) 2414, sponsored by Congressman Michael Castle of Delaware in 1998, directed the U.S. Mint to begin issuing five new designs each year on the reverse side of the quarter replacing the eagle for the next ten years, from 1999-2008. The quarters will be minted in the order states entered the union. Texas will be eligible to introduce its commemorative quarter in 2004. There will be no surcharge on the quarters. To collect all 50 commemorative quarters, the cost will be $12.50. HR 2414 specifies that (1) no bust or head and shoulders portrait of any individual, living or deceased should appear on the coin, and (2) no living person should appear on the coin. 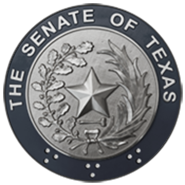 Senator John Carona of Dallas and State Representative Bob Hunter of Abilene sponsored Senate Bill 100, 76th Legislature, Regular Session, which authorizes the governor to create an advisory committee to assist in the design of the coin. The committee consists of 15 members appointed by the governor. Click here to go to The United States Mint 50 State Quarters® Program web page.